List of Elements in Atomic Number Order. Range in isotopic composition of normal terrestrial material prevents a more precise value being given; the tabulated value should be applicable to any normal material. Modified isotopic compositions may be found in commercially available material because it has been subject to an undisclosed or inadvertant isotopic fractionation. Substantial deviations in atomic weight of the element from that given in the Table can occur. Element has no stable nuclides. The value enclosed in brackets, e.g. 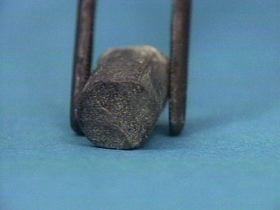 , indicates the mass number of the longest-lived isotope of the element. However three such elements (Th, Pa, and U) do have a characteristic terrestrial isotopic composition, and for these an atomic weight is tabulated. The names and symbols for elements 111-118 are under review. The temporary system recommended by J Chatt, Pure Appl. Chem., 51, 381-384 (1979) is used above. The names of elements 101-109 were agreed in 1997 (See Pure Appl. Chem., 1997, 69, 2471-2473) and there is a proposed name for element 110. List of Elements in Name Order. Here are some elements we introduced. 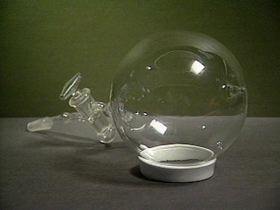 The element hydrogen is a clear, colorless gas. 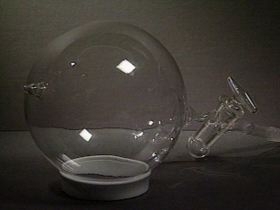 The element helium is a clear, colorless gas. All the Noble Gases are clear and colorless. 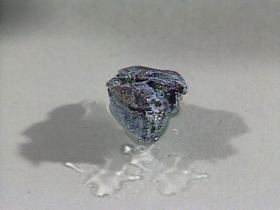 The element nitrogen is a clear, colorless gas. 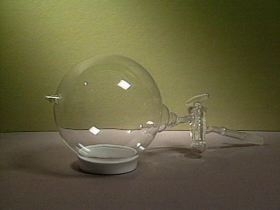 The element oxygen is a clear, colorless gas. 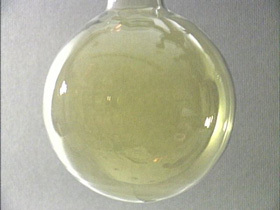 The element chlorine is a clear, yellowish-green gas. 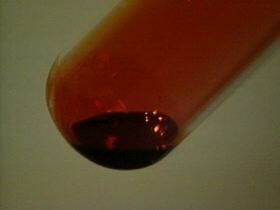 The element bromine is a clear, reddish-brown liquid. The element lithium is a soft, gray, solid. Not lithium is harder than sodium and it loks harder. The element sodium is a soft, silvery solid. 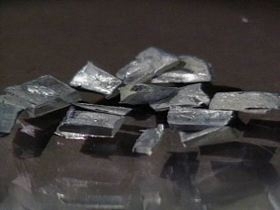 The element potassium is a silvery solid. 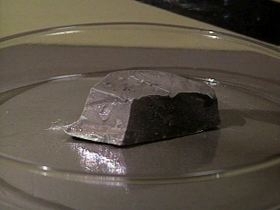 The element rubidium is also a soft, silvery solid. it a look which is other than silvery. 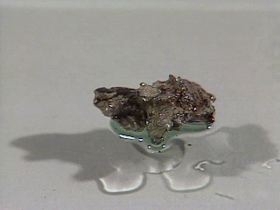 The element cesium is also a soft, silvery solid.